These Thinsulate lined mechanics style gloves are made of premium goat skin. 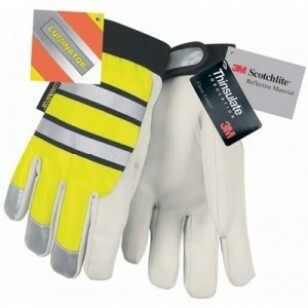 They feature a Velcro closure with 3M reflective material at the wrist. The polyester lime green back features 2 rows of 3M Scotchlite material. They have a keystone thumb for greater comfort and dexterity.